he psychiatric step-down facility on the campus of Dorothea Dix Psychiatric Center in Bangor. When Maine voters elected Paul LePage as governor, twice, they chose someone who had little interest in government, and even less interest in governing with transparency and oversight. Perhaps nothing illustrates the problems with this disinterest more than the situation unfolding around a psychiatric facility currently being built in Bangor. It is unclear whether the building is in the right city, or if it will be run or paid for in accordance with statewide requirements for the treatment of people with a mental health diagnosis. It will also cost much more than Mainers were led to believe. And, perhaps, none of this can be undone because of language the LePage administration included in a lease contract based, it would appear, more on vengeance rather than sound policy. These revelations come less than two months after Daniel Wathen, the retired judge who monitors the state’s mental health services, warned that a proposed contract for operations of the facility violated a long-standing court order that directs the state to improve its mental health services. This convoluted situation is the result of a yearslong process during which the LePage administration moved the facility from Augusta to Bangor specifically to avoid legislative oversight, and then refused to share details of the project with lawmakers. The administration also skirted the Legislature’s appropriations process by asserting that the Department of Health and Human Services had sufficient money on hand to build the facility. 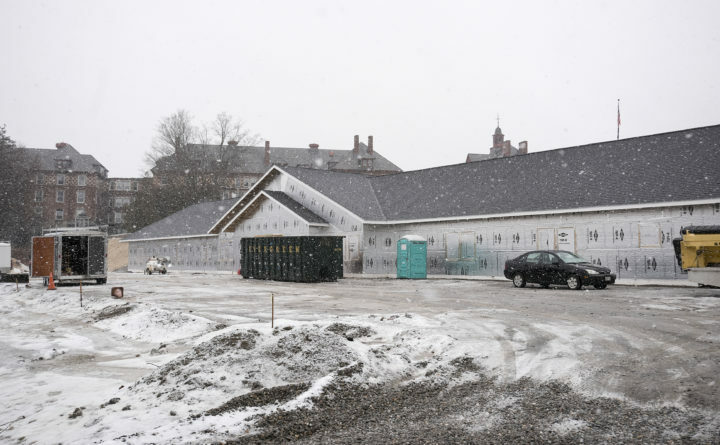 As details about a 16-bed psychiatric step-down facility, which is under construction in Bangor, are emerging, the costs — financial and otherwise — of the LePage administration’s secrecy are becoming apparent. A contract that was revealed this week committed the state to a 30-year lease of the building from a private developer, at a cost of $11.3 million in lease payments. The Department of Health and Human Services had told lawmakers the building would cost between $2 million and $3 million, and that it had sufficient funds to build the facility. How much lawmakers knew about the potential for long-term lease payments before this week is unclear. It gets worse. The lease agreement specifically bars the state from terminating the lease so it can open a similar facility elsewhere, such as in Augusta, if lawmakers and Mills administration officials find the facility would be better located closer to the state-run Riverview Psychiatric Center, where many of the patients who are expected to move to the step-down facility are currently housed. “I’ve never seen that particular clause,” said Wathen, the court-appointed watchdog for Maine’s mental health system. This saga began more than five years ago when Riverview lost its certification from the federal government after reviews by the Centers for Medicare and Medicaid Services revealed shortcomings in patient treatment and staffing at the Augusta facility. The 92-bed center treats and houses the state’s most acute mentally ill patients. It is the only state-owned facility to house patients who are deemed either incompetent to stand trial or not criminally responsible for their actions and who have been ordered by a court to be housed in a state mental health facility. Some of the patients at Riverview do not need a hospital-level of care and would be better served at a less restrictive facility. Moving these patients out of Riverview would also free up beds for people who need its high level of treatment but who are often held in emergency rooms when the state hospital is full. The Bangor facility, if done correctly, could be just what the state needs to comply with federal requirements that will allow Riverview to regain federal certification. Or, it could be a facility where patients are treated more like inmates with little emphasis on treatment and rehabilitation, which could run afoul of requirements for how these patients are cared for. Unfortunately, we do not have a clear picture because DHHS and LePage shared little about their plans. LePage also said he did not need the Legislature to approve funding for the facility because it would be funded with money already in the DHHS budget. This week’s revelations, and Wathen’s warning, show that is not true. As more details about this project emerge, it is clear that lawmakers and the Mills administration are right to slow down and reconsider every aspect of it. Ensuring the new facility is in the right place and properly run and funded remains a priority.